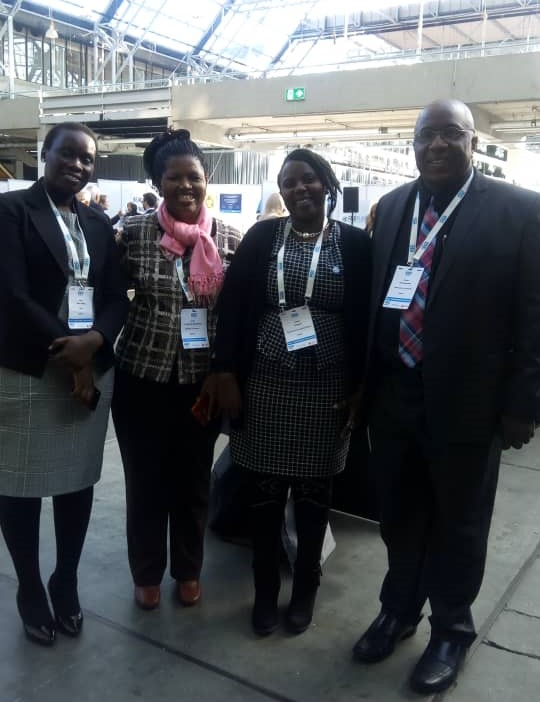 Danida alumni, Ms Harriet Asomani from Ghana and Angela Byangwa from Uganda, were selected to take part in the conference following a call from Danida Alumni Network earlier this year. Harriet Asomani (left) and Angela Byangwa (right). Corruption is pervasive. It happens in government, businesses, private sector, judiciary, media and civil society and so on. There are enough laws, frameworks, guidelines and standards on anti-corruption at both international, global and local levels. Now the time has come for them to be enforced. The time to act is now, says Harriet Asomani. Harriet is Head of Finance for STAR-Ghana (Strengthening Transparency, Accountability and Responsiveness in Ghana). STAR-Ghana is a 5-year governance and accountability programme with funding from amongst others EU and Danida. Participating in the conference has empowered her to continue the work she and her organization have been doing. The conference has not only affirmed and validated our work but has also empowered us through the various knowledge and experience sharing that took place. The conference has given us more legitimacy in the work we do. We have international backing to contribute to the anti-corruption efforts whilst continuing with our robust enforcement, Harriet continues. Joining Harriet at the conference was Angela Byangwa, Executive Director of Rwenzori Anti-Corruption Coalition. She has been fighting corruption at grass root level in Uganda for more than a decade. One of the most valuable lessons she learned from the conference was the involvement of the private sector in her work in anti-corruption. Being aware that the fight against corruption is complex and that we need a joint effort, I have decided to ensure that my organization, Rwenzori Anti-Corruption Coalition, brings on board the private sector to expose issues of corruption that hinder the private sector. This will enable us break the chains of corruption connecting the state actors to the private sector causing poor service delivery. Bringing the private sector on board will enable us to improve service delivery and also reduce corruption in procurement and in the process of drawing up contracts, especially in infrastructural projects like schools and health centers,” says Angela Byangwa, after the three-day conference in Copenhagen. Angela Byangwa has a team of grassroots monitors under her and she believes that it is extremely important for her to share the new knowledge, ideas and experiences that she gained from the IACC with them. The fight against corruption is not easy. It represents an enormous challenge especially in developing countries like Uganda. In the years ahead, we must continue to step up and meet that challenge every day, she says. One of the main criteria for choosing the applicants who would attend the Anti-Corruption Conference in Copenhagen was that the alumni would be able to not only use the knowledge and lessons learned in their current jobs, and share what they had learned with the Danida Alumni Network both locally and globally. This they will do by sharing reports, videos and arrange meetings for other alumni. In Ghana, they are planning to have a meeting where Harriet Asomani will share what she experienced at the conference in Copenhagen with the members of the local Danida Alumni Network.